Everyone has heard the myth, 100 brush strokes equals’ perfect hair. If that were true, women everywhere would start brushing hair 100 times or more a day to try and attain a perfect mane. In fact, over brushing can cause more harm than good. Hair loss is normal. On average, one person can lose anywhere from 50- 100 hairs a day. Your body looses hair so that new hair can grow in its place. We have provided a few simple tips to help your hair grow in healthy and evenly. • Use a brush with ball-tipped bristles. • DON’T brush your hair while wet before going through it with a comb first– this will cause unnecessary breakage. Ball-tipped bristle brushes are gentle on the scalp and will not break hairs. The bristles message the scalp when brushing which increases circulation, overall promoting even and steady hair growth. BrushLab Fresh Square Cushion Hair Brush: This Brushlab includes the signature cozi grip handle which is comfortable and prevents the hand from slipping. The Nylon ball-tipped bristles help message the scalp and get out all those unwanted knots. 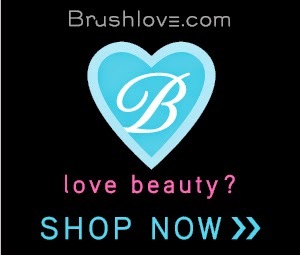 Brushlab Pronto Ionic Nylon Bristle Hair Brush: This adorable brush is static resistant and creates negative ions for smoother, healthier hair. Corioliss Fashion Yellow Hair Brush: This brush is tough and full of personality. They body and shape of the handle is ideal for detangling and straightening out long hair. The cushioned soft ball tip quills gently massage the scalp while brushing and the soft handle molds to the hand.